'Sammy the River Dog'. The story was Highly Commended in the CYA Conference writing competition. 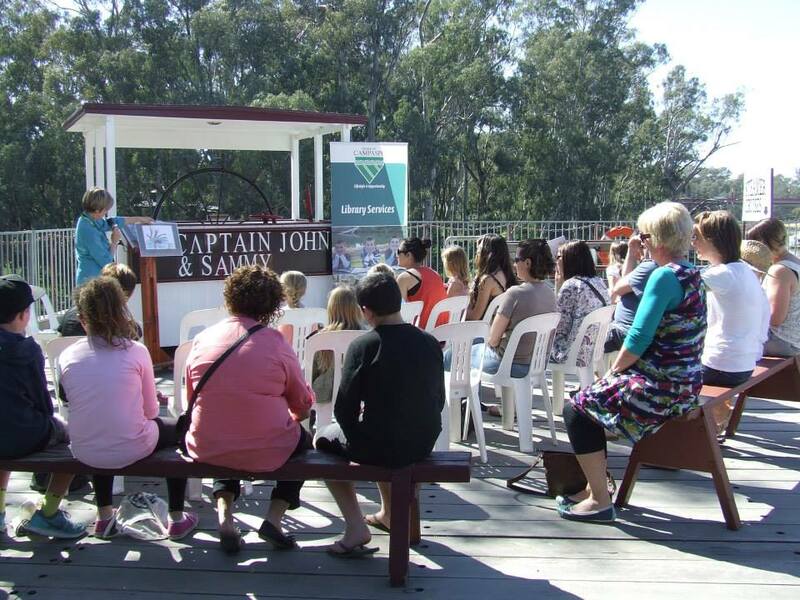 Then in 2014 I gave the story to the Echuca Branch of the Campaspe Regional Library. The wonderful staff at the library held a workshop in the school holidays and a group of children illustrated the book, under the guidance of a talented artist, Shelley Mitchell. Shelley used original photographs of the Echuca area and placed the children's illustrations over the photos. 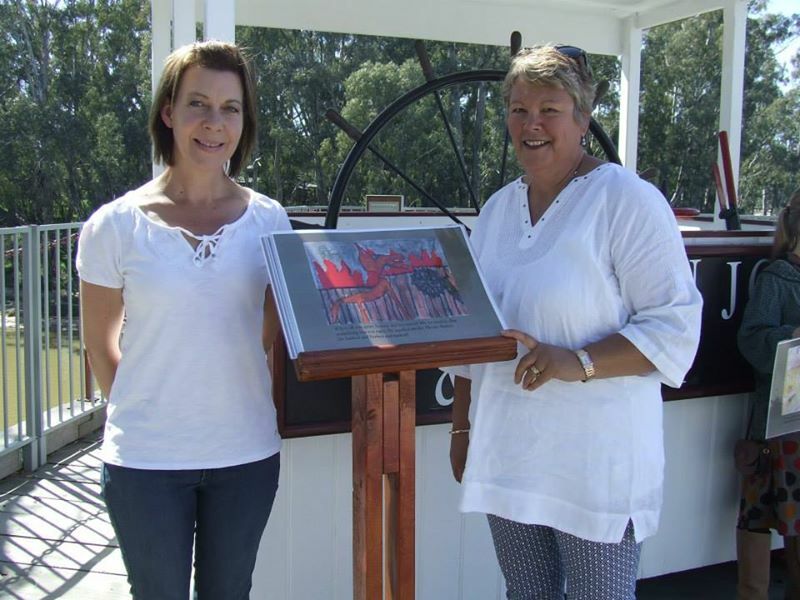 The result is beautiful and the story which is set in Echuca in the mid 1850's, gives a glimpse of life at the time and of the river trade and life on paddlesteamers. The completely illustrated book will soon be making its way to Echuca's sister city in Japan, Shiroi where it will be on display. What a fantastic project with so many wonderful contributors. Now 'Sammy' has been brought to life.